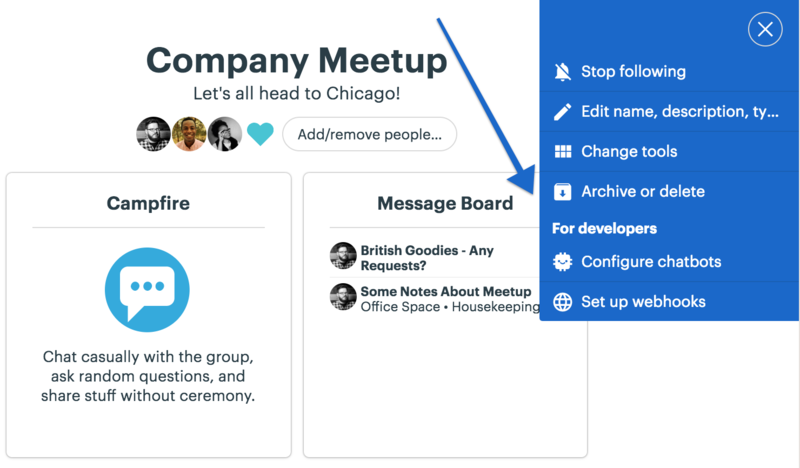 Delete or archive a project right from the Home page by clicking the ••• menu button in the upper right corner of the project card. Select 'Archive or Delete It' from the options and confirm which action you'd like to take. If you're already inside the project, head to the Settings menu in the upper right corner of the project's main page to archive or delete it.